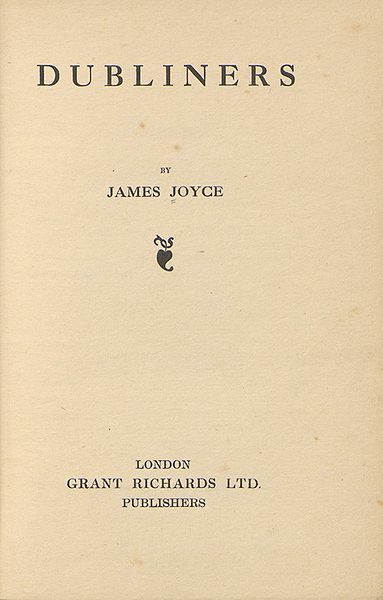 Troubled by his conscience (a rare trait for any publisher) he now agreed, again, to publish Dubliners, the only condition being Joyce had to buy 120 copies himself and would receive no royalties until 500 copies had been sold. So on June 15th, 1914, almost ten years to the day since his first date with Mora, Dubliners appeared in a first run of 1,250 copies. And tehre was, in the end, no uproar over any of the passages that had kept the book from publication for so long. The stories were written at the time when Irish nationalism was at its peak, and a search for a national identity and purpose was raging; at a crossroads of history and culture, Ireland was jolted by various converging ideas and influences. They centre on Joyce's idea of an epiphany: a moment where a character has a special moment of self-understanding or illumination. 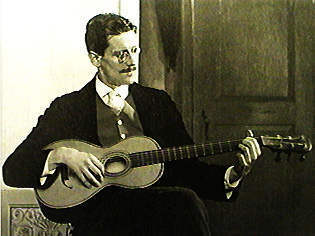 Many of the characters in Dubliners later appear in minor roles in Joyce's novel Ulysses. The initial stories in the collection are narrated by children as protagonists, and as the stories continue, they deal with the lives and concerns of progressively older people. This is in line with Joyce's tripartite division of the collection into childhood, adolescence and maturity.